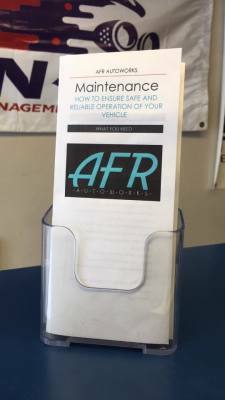 Once you experience AFR Autoworks service we are confident you will become a return customer. You take pride in your car and we take pride in our work. We take your best interests to heart when recommending maintenance, repairs and upgrades on your vehicle. We are here to help not to sell services that are not required. We want your ownership experience to be trouble free and your vehicle to remain safe. We make every effort to ensure when you drop off your pride and joy for maintenance and repair it is, "Done Once, Done Right". We stand behind our work. We try to exceed our customer's expectations by doing quality work and looking after their vehicles as if they are our own. - We give customers their cars back cleaner than when we receive them. encouraged to take the time necessary to do the job right. - We use only quality parts for all our repairs. - Weekly employee training sessions. peace of mind with our customers. 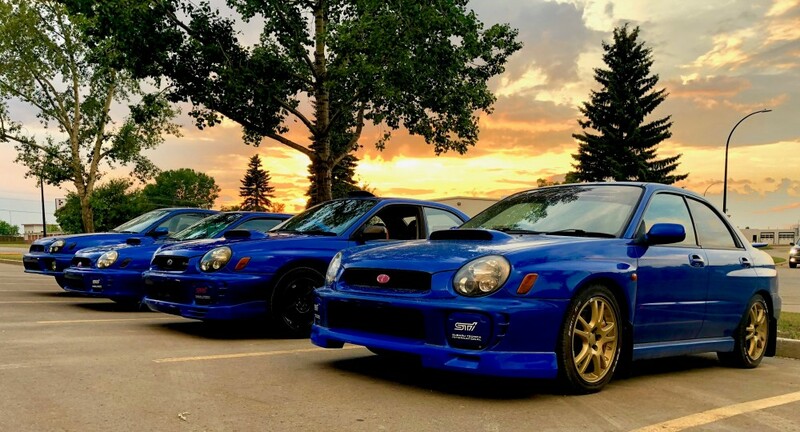 -BMW, Subaru, Mazda and More! -Whatever your needs we likely offer an excellent engine management solution. We offer engine tuning for many makes and models. We have worked with a broad range of combinations from turbo street bike engines to supercharged V8s. We are confident that no matter the combination we can make you happy with your tune. We optimize each tune to offer the best possible fuel economy, drivability, reliability, and performance. One of our core values is life long learning. We invest heavily in our education and diagnostic tools to serve you better. Continual training combined with specialty diagnostic tools and equipment help us to solve difficult problems with confidence. We have an in house all-wheel drive dynamometer for testing your vehicle. We have top of the line bi-directional scan tools and softwares to support all makes and models. We operate using a full diagnostic suite so we have access to all information required to diagnose your vehicle efficiently and effectively. We stock many products from our most popular product lines. We offer a very wide range of parts at competitive prices with great turn around times. We work direct with many manufacturers as well as with numerous wholesalers to give the best prices and availability of quality parts to you. 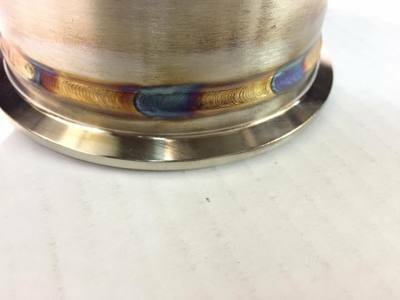 If you are looking for fabrication and only quality will do, look no further. We can do whatever is required to get your car out on track or help set it apart from the crowd such as a custom exhaust or intercooler setup. We stock large variety of maintenance and repair products. 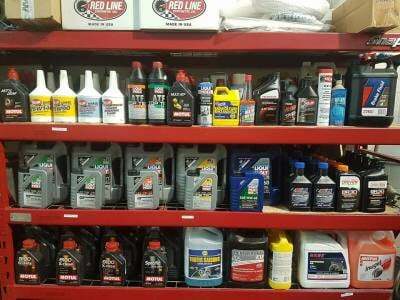 We have an exceptional selection of Motul, Redline, and Liqui-Moly synthetic fluids. 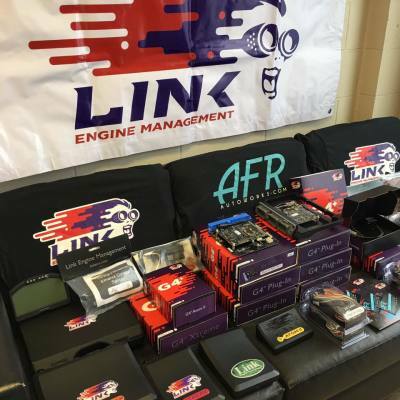 When you need parts, we offer OEM, OEM+, and Performance options for nearly every application so you get the best service life and performance for your car.